As seen on High Street. This perspective gives me vertigo! how impressive! 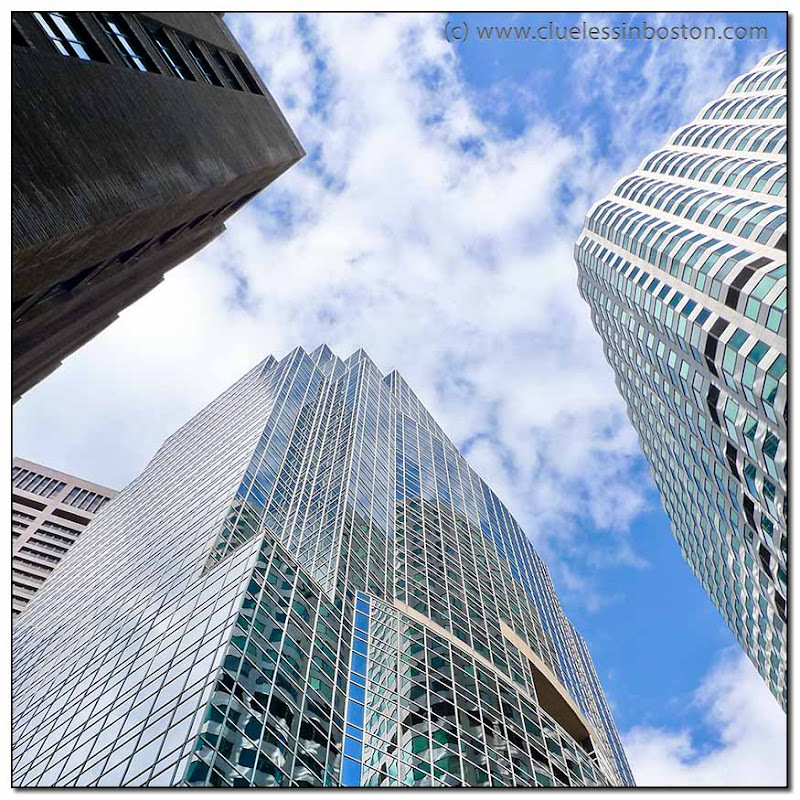 The street is appropriately named in this is beautifully executed Boston financial district image. I like the sky reflected in the center building. What a great photo! You know, I'm tempted to consider a move to Boston with all the blue skies you get in winter time! Wow, that makes me dizzy! :) Impressive photo! You are hurting my neck here. I like the two glass buildings. Sign of the cross - How Boston! This one is perfect, Clueless. Great composition, nice cross in the negative space and crisp as can be. Holy Crap! AWESOME did you lie down for this? Oh my goshhh what a breathtaking shot!